How to Write 1.5 or 150% as a Fraction? 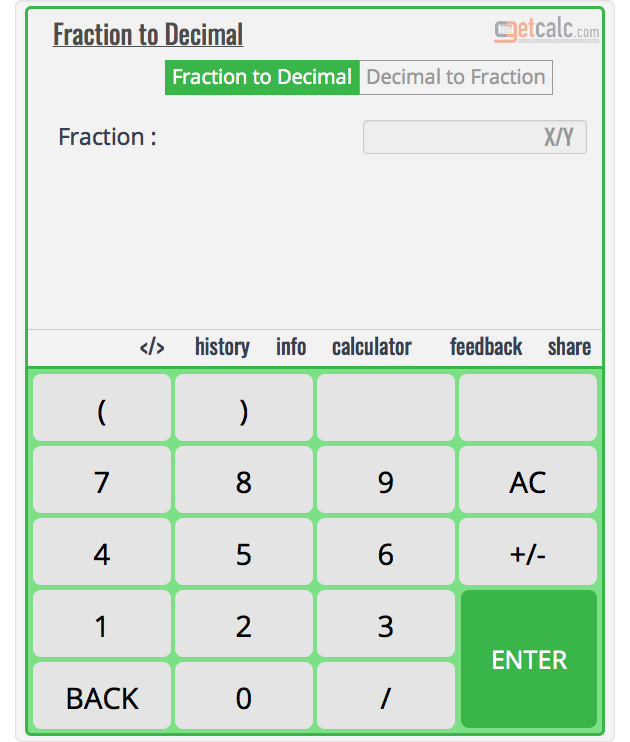 getcalc.com's decimal to fraction calculator to find what's an equivalent fraction for the decimal point number 1.5 or 150%. How to Find Equivalent Fraction for 1.5? The below workout with step by step calculation shows how to find the equivalent fraction for decimal point number 1.5 manually. step 4 To simplify 15/10 to its lowest terms, find LCM (Least Common Multiple) for 15 & 10.
how to write 0.6 or 60% as fraction? how to write 0.7 or 70% as fraction? how to write 0.8 or 80% as fraction? how to write 0.9 or 90% as fraction? how to write 1.1 or 110% as fraction? how to write 1.2 or 120% as fraction?